By any standards Zimbabwe has a proud history of successful elephant conservation. Elephant populations in most of Africa were reduced to very low numbers by the late 19th Century. In 1897 approximately 100,000 tonnes of ivory was exported from Africa . In 1900 it was feared that elephant might become extinct south of the Zambezi River . Using historical accounts of elephant numbers, backwards extrapolations based on population growth rates, and known levels of elephant kills it is unlikely that Zimbabwe held more about 4,000 elephants in 1900 [8,10,14,16]. More than one hundred years later, in 2014, this number had increased twenty-fold to nearly 83,000 elephants (Fig. 1 and Table 1) despite attempts to limit elephant population growth between 1960 and 1989 by culling 45,000 elephant in tsetse control areas and state protected areas (Fig. 1) [5,32]. The primary rationale for limiting elephant numbers in protected areas was to reduce their impact on woodland habitats and the loss of plant and animal species as result of elephant-induced habitat change [9,12,44]. Elephant impacts on woodlands and associated and biodiversity is still a concern today [15, 46,47]. Between 1990 and 2006 elephant populations grew exponentially but growth has since been limited by an escalation of illegal killing . However, the overall population in the country remains at more than 80,000 elephants (Table 1), which is more than twice the national target population envisaged in the 1908s. Figure 1. Growth of elephant population in Zimbabwe between 1900 and 2001, number of elephant killed (lower graph), and aerial census estimates (triangular point) in those years in which the entire elephant range was covered. The numbers killed before 1960 are based on the amount of ivory exported from the country. The high numbers killed in the 1980s represent the large-scale culls that were carried out during that period in an effort to reduce their environmental impact. Zimbabwe is one of the key elephant range states and home to the second largest estimated elephant population of nearly 83,000 individuals following Botswana, which is estimated to hold Zimbabwe Elephant Management Plan: 2015-2020 4 more than 130,000 elephants. Zimbabwe thus has a clear obligation to ensure the survival of the species for the benefit of present and future generations of all stakeholders1. Zimbabwe first adopted a specific Policy and Plan for Elephant Management in 1997  with the long term vision to “Conserve elephants at levels that will enable them to contribute to the conservation of biodiversity, national development and Zimbabwe’s cultural heritage.” As a matter of policy the plan required that at least four demographically and genetically viable populations of elephants be maintained, that elephant densities be kept below the levels at which they might compromise biodiversity, and that elephant range remain at or above the 1996 level. At the time illegal killing of elephants was at a very low level and the plan placed little emphasis on law enforcement. That situation has since changed drastically, with poaching at a crisis state in some countries, although not to the same extent in Zimbabwe. Furthermore, elephant range has been constrained by increasing human population densities in many rural areas. Accordingly, the Zimbabwe Parks and Wildlife Management Authority (ZPWMA) convened a participatory workshop in Hwange Safari Lodge (from 2nd to 4th December 2014) to develop an agreed “Strategic Elephant Conservation Policy and Management Plan Framework”. The policy and primary objectives of the 1997 plan were incorporated into the December 2014 framework, and the objectives and action items were updated to reflect new challenges to elephant management that were not in focus in 1997. The framework developed at the December 2014 workshop, together with input from the two-day CAMPFIRE Association workshop held in November 2014, form the basis of the current elephant management plan. The national workshop included stakeholders with varied interests from the wildlife and tourism industry, conservation NGOs, technical experts from Zimbabwe and the international community, and government representatives from wildlife agencies in neighbouring countries that share elephant populations with Zimbabwe. At the Hwange workshop, participants agreed that each of the four primary elephant ranges needed a regional plan to address the specific challenges and advantages of elephant in that area. Accordingly, from 30 April to 2 May, 2015, a workshop was held to discuss an antipoaching strategy for Mana Pools National Park, which was later expanded to cover the midZambezi Valley region. Similarly, in May and September 2015, workshops were held in the Sebungwe and the South East Lowveld, respectively, to develop action plans for each region. An anti-poaching strategy workshop for Hwange National Park was held in June 2015 and, together the management plan for the park, provided a basis for completing an action plan for Northwest Matabeleland. These action plans are appended in Annexes 9.4 to 9.7. 1 Note that the African elephant comprises two species, namely the forest elephant and the savanna elephant. Given the high proportion of the continent’s savanna elephants that occur in Zimbabwe this places increasing responsibility for their conservation on the country. 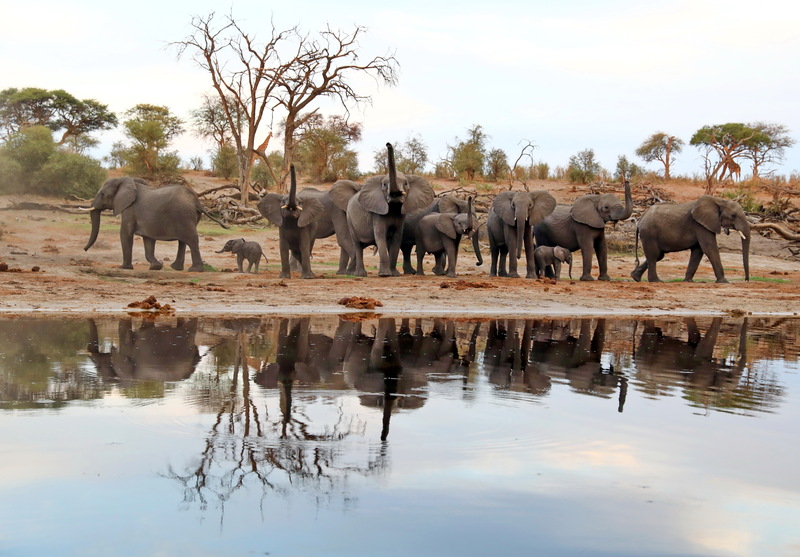 The elephant range in Northwest Matabeleland covers an area of approximately 25,000 km2 and includes national parks, safari areas, forest areas, commercial farmland, and communal land – mostly on Kalahari sands (Fig. 2). The population of some 54,000 elephants is part of the larger regional population of about 250,000 in south-eastern Angola, Botswana, Namibia and south- western Zambia. 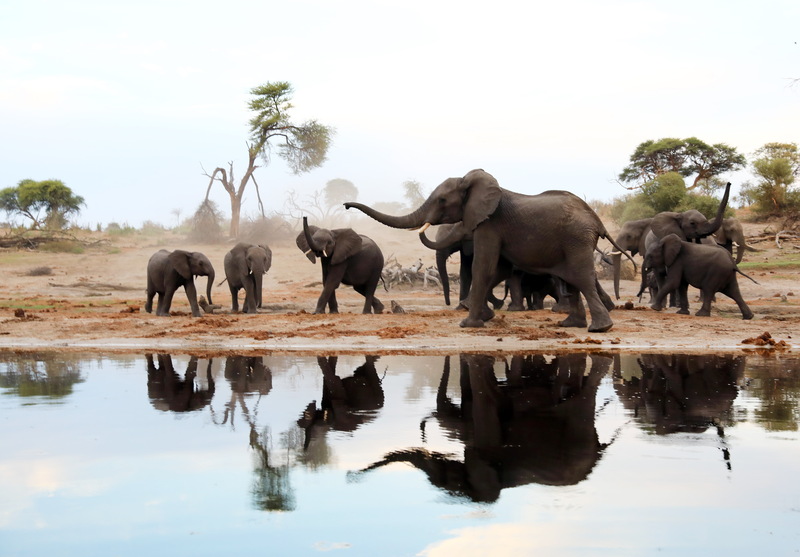 The major component of 45,000 elephants is found in Hwange National Park. At the onset of the rains some elephants disperse from Zimbabwe into Botswana resulting in a shared population between the two countries. The elephant population in Hwange National Park was approximately 2,000 animals when it was first declared a Game Reserve in 1928 . Elephant impacts on vegetation reached alarming levels by 1964 and a representative of WWF-US advised the then minister of natural resources to act on what was perceived to be an over-population of elephants. The first major cull of elephants took place in the park in 1965 . A major factor contributing to the growth of the elephant population (with a current density of 3/km2 in 2014), and of other species, was the provision of artificial water supplies through the dry season [10,37]. 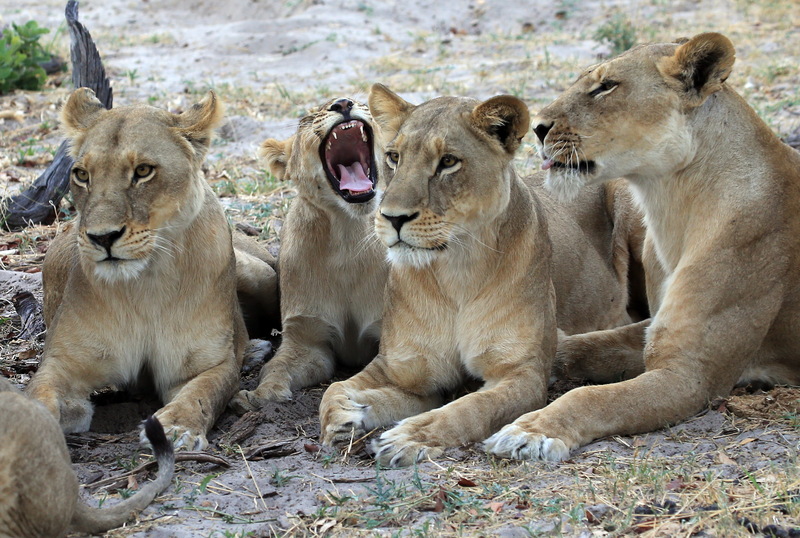 The Matetsi Safari Area to the north of Hwange National Park was established in 1972, on what had been a commercial farming area, and the complex, that includes two national parks, carries a lower density of elephant (1.1/km2). Estimated growth of the elephant population since 1980 in Northwest Matabeleland is shown in Fig. 3 below. Following the large culls of the 1980s the elephant population of Hwange National Park grew rapidly from 13,000 in 1986 to about 35,000 in the early 1990s and appeared to stabilise at about this number . However, the 2001, 2007 and 2014 dry season estimates of between c. 35,000 and 45,000  suggest that the elephant population in the park may now have stabilised at about this number (or a density of 2 to 3 elephants/km2), with rainfall and water supplies acting as limiting factors. The Sebungwe region covers an arc of 15,000 km2 to the south of Lake Kariba. Historically the area was demarcated by tsetse control fences that ran from Binga on the lakeshore in the west southwards to the Sengwa Wildlife Research Area and then north-eastwards to the Kanayati River and Matusadona National Park (Fig. 2). 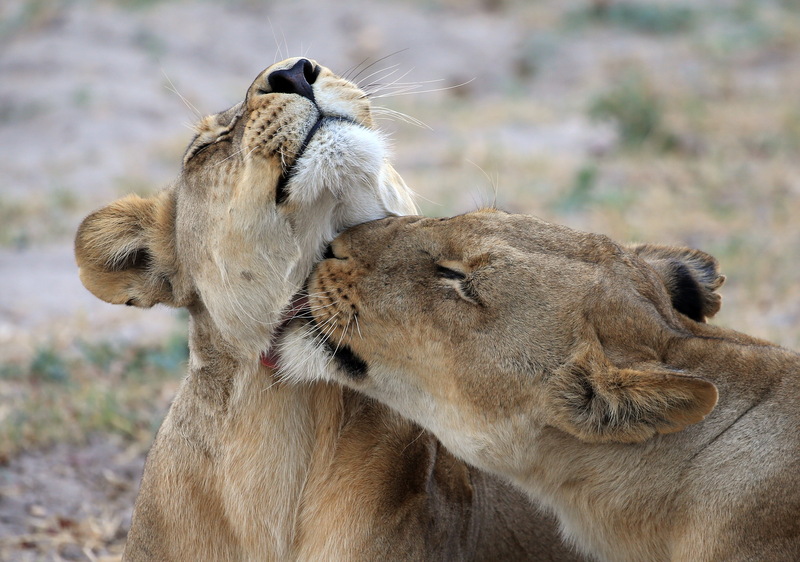 The Parks and Wildlife Estate covers 6,234 km2 and includes two national parks and two safari areas. There is a single forest area within the region and the remaining area of c. 9,000 km2 is communal land. As in the other regions the elephant population grew from about 2,000 elephant in the 1920s to c. 15,000 in 2006 [9,17]. It was recently reduced to an estimated population of 3,500 in 2014  (Fig. 4). The human population in the three districts of the Sebungwe has increased from 45,000 in 1950 to some 700,000 in 2013 with population densities of more than 30 per km2 in Gokwe North and Gokwe South. The threshold human density at which elephants disappear from settled areas is approximately 15 people/km2 . The mid-Zambezi Valley area of 11,000 km2 includes Mana Pools National Park, six safari areas and small, adjacent areas of communal land. Returns from hunting leases and quotas provide an important source of revenue for ZPWLMA. Unlike the Sebungwe the protected areas are contiguous. The elephant population reached a high of 19,000 in 2001 and between 2001 and 2014 was reduced to 11,000 elephants  (Fig. 5). 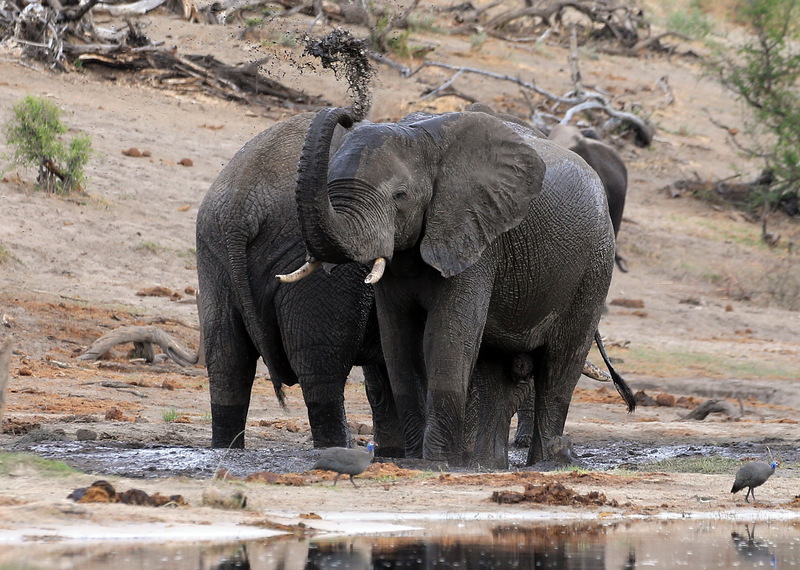 Culling took place in the escarpment areas of Charara, Nyakasanga and Mana Pools during the 1980s. As in North West Matabeleland, the elephant population in the mid-Zambezi Valley is shared with Zambia in the Lower Zambezi National Park and with Mozambique. Recent estimates of elephant in the adjacent 16,500 km2 in Mozambique south of Cabora Bassa are 1,985 elephants in 2010 , and 1,600 in 2014 – a decline of 19%. In Zambia, an aerial survey of the Chiawa Game Management Area and of the Lower Zambezi National Park in Zambia in October 2013  estimated elephant populations of 405 and 1,795 in the two areas respectively. The elephant density in Chiawa GMA was 0.16/km2 and in the Lower Zambezi National Park was 0.41/km2. The South East Lowveld elephant population is centred on the Gonarezhou National Park population of c. 11,000 elephant in 5,000 km2 that has been growing at about 5% per annum for the last 20 years (Fig. 6). The population falls within the Great Limpopo Transfrontier Conservation Area (TFCA) and there is some movement of elephant between Gonarezhou and Kruger National Park and across the park boundary into Mozambique. Separate elephant populations occur in the Malilangwe, Savé Valley, and Bubye Valley conservancies. There is also a small population in the Tuli Safari Area that is shared with South Africa and Botswana in the Mapungubwe TFCA. Overall there are about 13,000 elephant in this range . 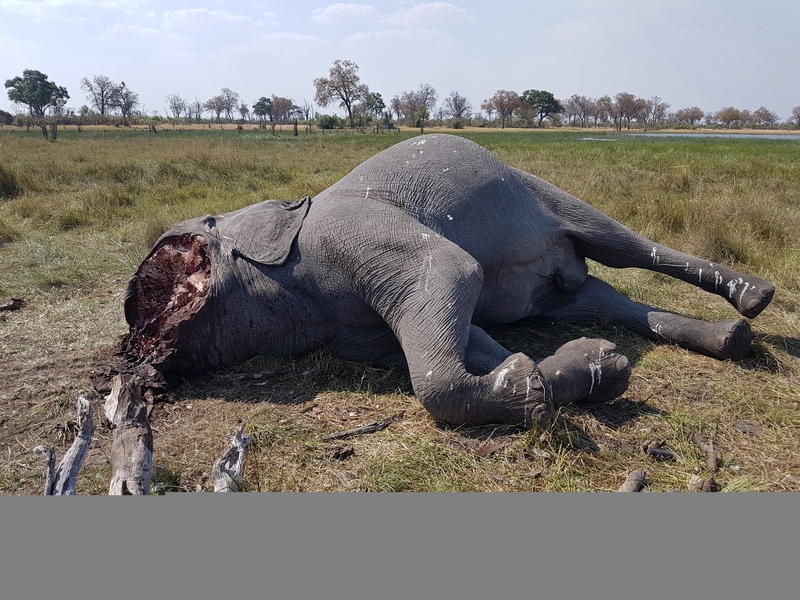 The 2014 survey recorded no live elephants in the Mozambique blocks adjacent to Gonarezhou National Park but returned an estimate of more than 160 elephant carcasses . Summary Comment. Law enforcement, mitigating human-elephant conflict [27,35,36], and building supportive and beneficial relationships between protected areas and their neighbours  are key issues in all regions. 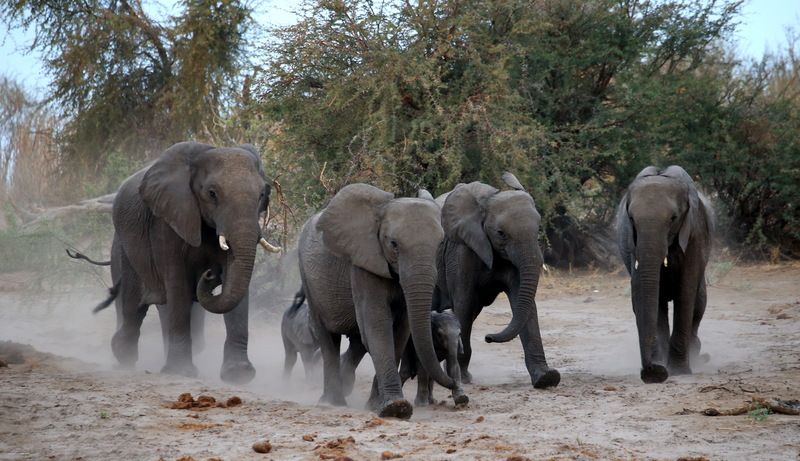 In the Sebungwe, rapid human population growth and settlement in previously uninhabited areas is reducing the range available to elephants and limiting movement between protected areas. Here, rehabilitating protected areas and implementing strong incentives  for elephant conservation in the communal lands will be strategically important steps for that region. For all of the four elephant ranges in the country further key specific issues and actions to tackle them will be tackled through the action plans that have been developed for each region (Annexes 9.4 – 9.7). The development of regional action plans and the devolution this involves will also serve to reduce the risk of scale mismatches between institutional/social and ecological scales . Maintaining four regional populations each of between 5,000 and 10,000 elephants would meet the first target of maintaining four demographically and genetically viable populations . However, the third target is not likely to be met unless there is sufficient range, in each of the four regions, in which to hold these numbers without compromising the range of biodiversity that the country is committed to protecting in terms of its policy and legislation. The core state protected area (National Parks and Safari Areas) of elephant range in Zimbabwe is close to 42,000 km2. At present this area is carrying more than 70,000 elephants (Table 1) or a crude density of about 1.75 elephants/km2, a density at which woodlands and biodiversity are compromised [1,3,9,12,15,31,46]. At densities as low as 0.3 elephants/km2 woody plant species can be lost and species diversity of birds and invertebrates reduced [15,34]. In miombo woodlands, which form the predominant type of protected habitat in the Zambezi Valley, woody plant species and some animal species will be lost at elephant densities as low as one elephant to 10 km2 . As an example, in a miombo woodland area in the Sengwa Wildlife Research Area (southern Chris) elephants at a density of < 1/km2 were responsible for removing 45% of the woody biomass in just four years . In Chizarira National Park, with elephant densities in excess of 1 per km2 tree canopy cover declined from 75% in 1979 to less than 10% in 1993 [44,11]. The only tall trees remaining with dead wood to provide refuges for hole-using birds were found on large termitaria . These examples highlight the dilemma that arises between attempting to protect as many elephants as possible at all costs on the one hand, and to preserve a full range of plant and animal species in protected areas on the other hand . These examples also highlight the consequences of making single resource decisions (e.g. preserve all elephants) that can result in multiple resource consequences (e.g. loss of large trees, plant species, and animal diversity). Recent work in Addo Elephant National Park in South Africa shows that high elephant densities do not increase eco-tourism opportunities and their associated ecological costs are not a requirement for eco- tourism financial sustainability . It is clear that the choice of target elephant population size and density for a particular area or country depends on peoples’ values and the values of decision-makers involved . Ecological science can only provide guidance on the likely consequences of the targets that are chosen. For Zimbabwe the current elephant population is considerably higher than was envisaged in the 1980s when the target was to maintain a countrywide population of about 35,000 elephants [13,15]. Elephants are clearly a keystone species and primary ecological engineers in savanna ecosystems , and particularly so at high densities in confined ranges. A sensible strategy, therefore, would be to match targets to different areas and habitats and to vary these targets adaptively in time and space depending on long term trends and the results of appropriate programs monitoring the impacts of elephants on ecosystem structure, function and species diversity. As a result of the above considerations a decision on a target number of elephant for the country is expressed in terms of an upper and lower limit of elephant density that is presently set at between one and two or three square kilometres per elephant (i.e. 0.3 to 0.5 elephants per km2). However, ZPWMA recognises that density is only one factor to be considered as part of population target setting. All the regional population densities except Sebungwe already exceed these density limits, and this will be taken into account in each regional action plan in establishing thresholds of potential concern relating to ecological, economic and social impacts of elephants. A series of regional action plans has been developed and in the Sebungwe a tentative target of 5,000 elephant has been set where the present population is approximately 3,000 in about 7,000 km2 of available habitat. This is based on the likelihood that a population of 5,000 will be both genetically and demographically viable and attainable given the land presently available to elephants. The elephant populations in the remaining regions are well above the thresholds established in the 1980s. An important component of the regional management plans is to carry 2 / This concept arose following the re-introduction of wolves into Yellowstone National Park in the USA. Elk avoided habitats in which they were likely to be killed by wolves and this allowed a rapid regeneration of woody plant species that had been over-browsed for years [29, 39]. Management approaches to maintain elephant populations within the still to be set acceptable upper and lower limits will vary with each region but will, in all areas, focus on improved protection and minimising the illegal killing of elephant. 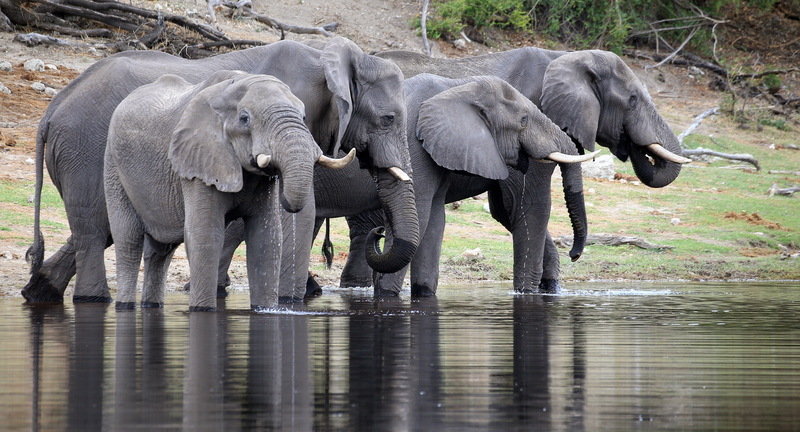 In some areas the management of water supplies may be used and the protection of sensitive habitats may require creating a “landscape or ecology of fear”2 through appropriate disturbance of elephants visiting such areas. The most straightforward method of dealing with over-population of a species is culling. However, because the sale of ivory was previously required to cover the costs of large-scale population reductions this option was effectively closed in 1989 by the CITES listing of elephant on Appendix I. Despite the listing of Zimbabwe’s elephant on Appendix II in 1997 and the subsequent sales of stockpiled ivory in 1998 and 2008 trade in ivory has since continued to be constrained by a nine-year moratorium on the sale of ivory. The moratorium is unlikely to be lifted in 2017. 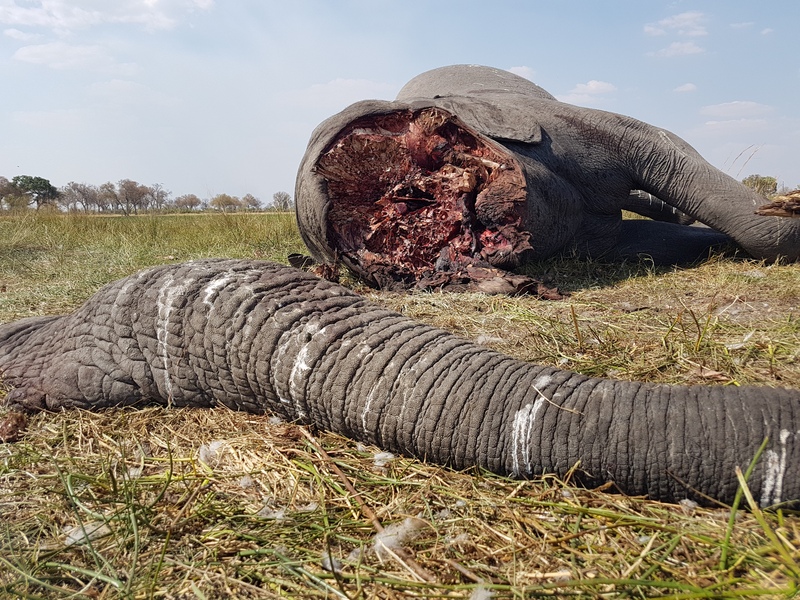 The present poaching crisis affecting elephant populations in central and eastern Africa and associated public sentiment also militates against the introduction of culling to manage elephant populations in Zimbabwe. ZPWMA, through the Parks and Wildlife Act Chapter 20:14, has a national mandate to manage wildlife in the country. By the same instrument it is the lead agency in elephant management, i.e. protection, research, monitoring and sustainable utilization. It forms collaborative arrangements with other institutions to manage elephants in the country. ZPWMA works closely with sister organizations from neighbouring countries such as Zambia, Mozambique, South Africa and Botswana in wildlife protection, information sharing and elephant monitoring through bilateral and regional arrangements (SADC). At international levels, ZPWMA is both the CITES Management Authority and CITES Scientific Authority and works with other countries through CITES and other inter-governmental agreements to control trade in elephants and to protect elephants. Both local and international organizations partner with ZPWMA in elephant management. They mobilize resources for protection, research and monitoring, and assist with elephant monitoring and research, information sharing and advocacy. The corporate community participates in elephant management mainly through resource mobilization. Safari operators report poaching and assist in anti-poaching patrols. Through lease and trophy fees they provide revenue to ZPWMA. 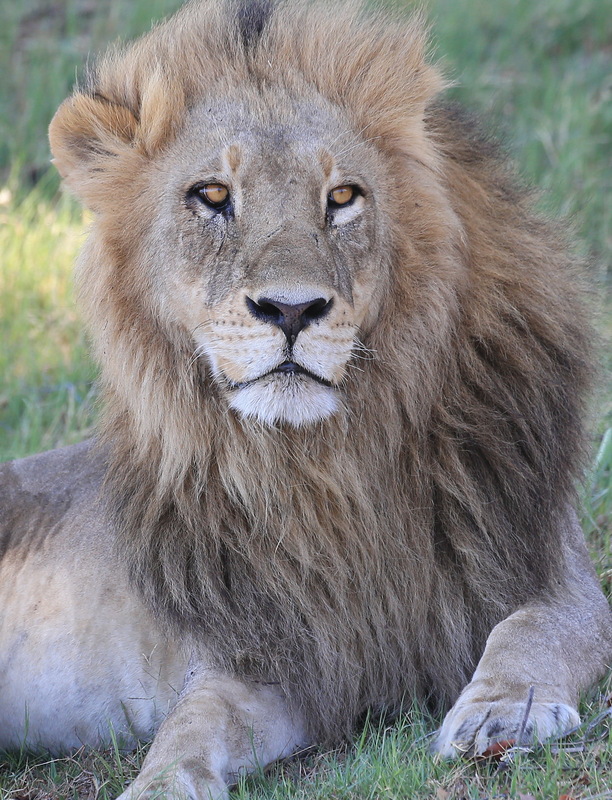 They help develop infrastructure, provide funds to communities and supplement diets with meat from trophy animals. Zimbabwe subscribes to the principle of sustainable utilisation of wildlife resources including elephants. Sport hunting is the principal form of wildlife utilisation whereby offtakes are adaptively managed and monitored through a participatory and science based process. 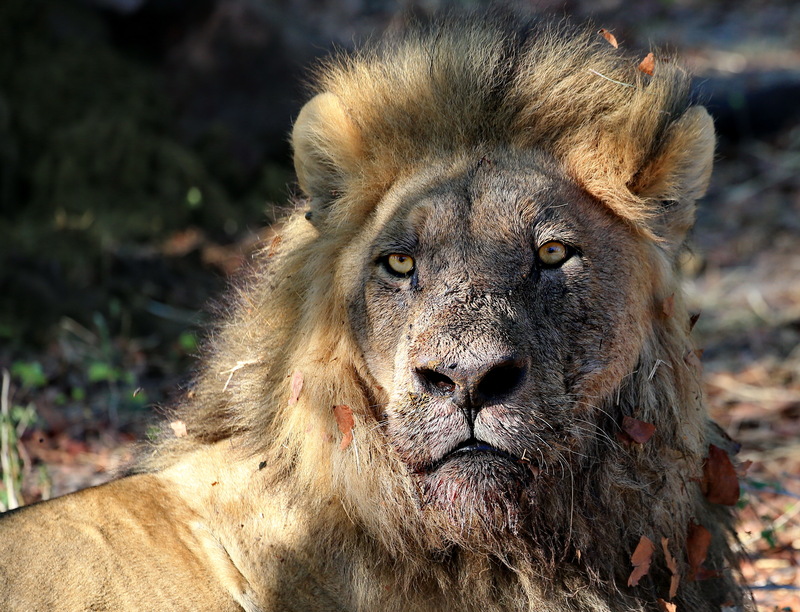 This process allows for sustainable offtakes, and rigorous resource monitoring programmes that allow recruitment within a population to ensure the continued survival of the population in the wild. The high economic value conferred to the elephant through consumptive utilisation has also resulted in increased tolerance by local communities. Elephants are a charismatic species but can also be destructive when they destroy crops, threaten livestock and even human lives. To have a future, elephants must have value. Value to the governing authorities and to the local people. The greater the value, the greater the tolerance of them is likely to be. The local people who live closest to them will determine the long-term survival of species like elephant. Regulated sport hunting converts wildlife into assets for the benefit of local people and the country as a whole. Wildlife can be a most valuable asset and in turn empower local communities and provide basic necessities. 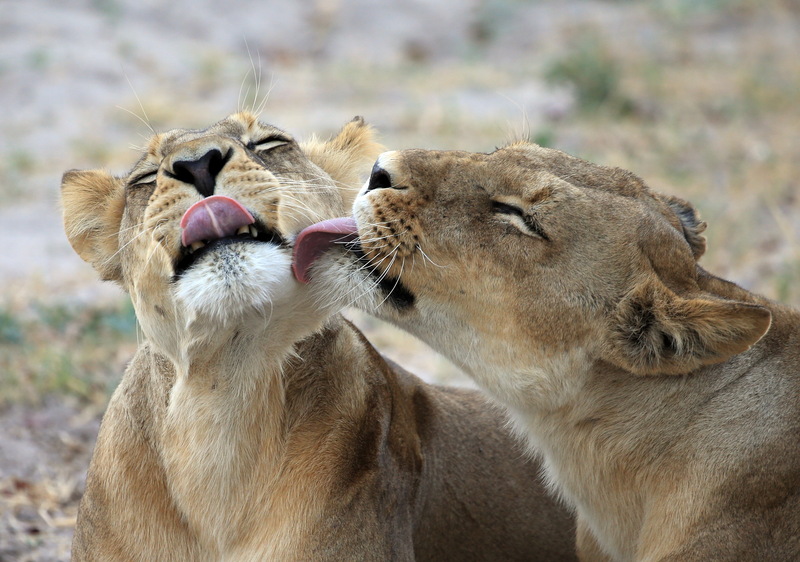 When it is viewed as a valuable asset, wildlife becomes an economically competitive land use in Zimbabwe, which leads to habitat preservation instead of habitat destruction and conversion to agriculture or livestock production. 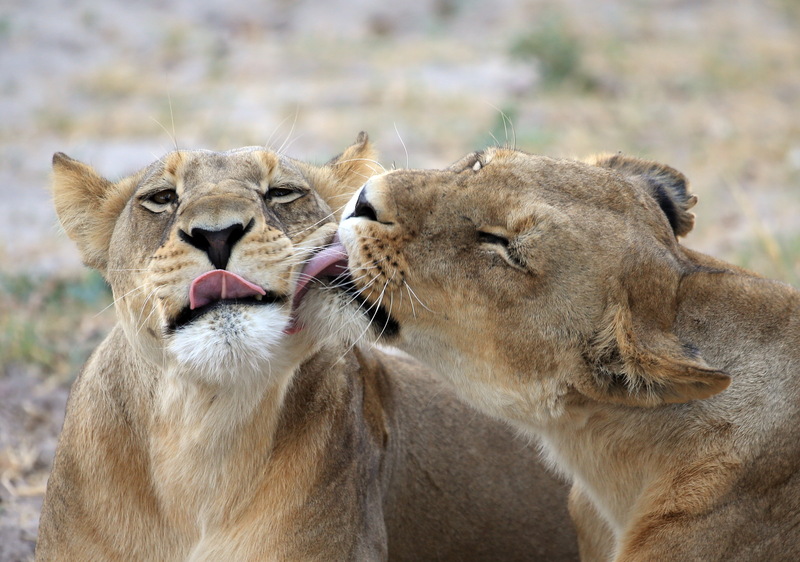 Game animals have a survival advantage because of user-pay stewardship systems where use revenue generated from tourist hunters is paid through to wildlife authorities and local communities. The presence of regulated hunting can also reduce illegal activities. Many hunting operators in Zimbabwe have specialised anti-poaching units. Private operators’ lease agreements are being reviewed to include anti-poaching as an obligation of the concessionaire. Regulated hunting is the opposite of poaching. One is a lawful activity designed by government wildlife authorities and experts to perpetuate resources and the other is prohibited thievery outside of and away from the system. The first is like making a bank deposit and the second is like a bank robbery, without sustainable limits. Trophy hunting revenues are vital because there are not enough tourists to otherwise generate income to support all protected areas. Eco-tourism revenues are typically sufficient to cover the costs of only some of the parks and certainly not to justify wildlife as a land use outside of protected areas. Hunting is able to generate revenues under a wider range of scenarios than eco-tourism, including in remote areas lacking infra-structure, attractive scenery, or high densities of viewable wildlife. Consequently, elephant and other wildlife populations will be negatively affected through reduced conservation efforts arising from low funding and reduced goodwill from the communities, when in reality the elephant has the economic potential to raise adequate funds to support itself and other species. For these reasons, Zimbabwe confirms its commitment to the sustainable use of elephant and other wildlife in this Action Plan. The Community Areas Management Programme for Indigenous Resources (CAMPFIRE) of Zimbabwe has been widely regarded as one of Africa’s most successful contemporary conservation initiatives. It permits the residents of communal lands – basically the poor rural communities – to share in the benefits generated by wildlife utilization on those lands by granting Appropriate Authority to Rural District Councils (RDCs) to manage wildlife on communal lands and requiring a certain percentage of revenue to be paid to the wards and councils. CAMPFIRE operates in about 50,000 km2 (12.7%) of land in Zimbabwe. This is roughly equivalent landmass to the Parks and Wildlife Estate. CAMPFIRE encompasses about 777,000 households with an average family size of five, who face food insecurity and deep poverty (average income $1 a day). Between 1994 and 2012, CAMPFIRE generated $39 million of which $21.5 million was allocated to communities and used for resource management (22%), household benefits (26%), and community projects (52%). 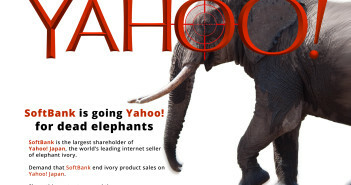 About 90% of CAMPFIRE’s revenue comes from hunting, with elephant hunting contributing more than 70% of annual revenue. Based on the Constitution of the CAMPFIRE Association as amended in 2007, all major hunting RDCs use CAMPFIRE revenue-sharing guidelines. In these districts safari operators pay revenue directly into community-controlled bank accounts using the following breakdown: CAMPFIRE community share (55%), RDC fees (41%), CAMPFIRE Association levy (4%). 16-20 people per km2 in some key wildlife districts, and (iv) lack of re-investment in development, fixed assets, human capital, and management and protection of wildlife in CAMPFIRE areas. 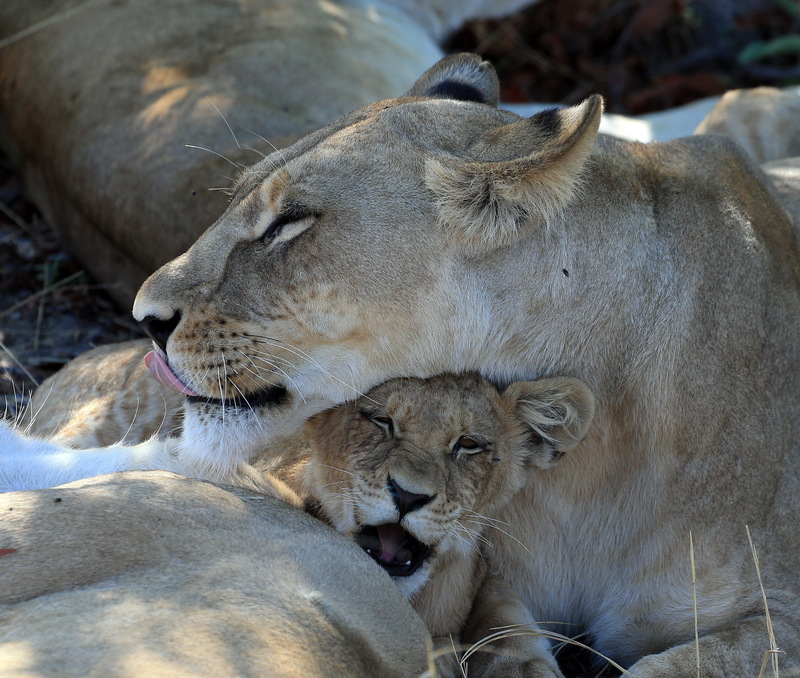 Despite these challenges, CAMPFIRE stands very high in the agenda of Zimbabwe’s Government, and a review dedicated to improving the programme , including greater devolution of ownership of wildlife to communities, is ongoing and should be finalized by the end of 2015. 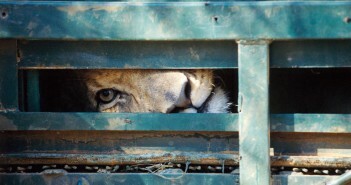 Zimbabwe’s Government recognizes that the survival of wild animals depends entirely on those among whom they live. Unless local people want to save them, wildlife will be poached to the point where just a few remain in fortified reserves. CAMPFIRE is meant to avoid this and the future of wildlife in communal areas rests on the success of this programme. of information, advocacy and wildlife protection. They report human-elephant conflicts and carryout some of the conflict management activities. Adequate and sustainable funding and provision of other resources are important to effective protection of the elephant and curbing illegal trade in elephant products. Resources are mobilized from within ZPWMA, by the private sector, and by intergovernmental and nongovernmental organizations. Partnerships between ZPWMA and other stakeholders are some of the innovative measures being developed to secure funding for elephant conservation. There may be a need for the Government to provide additional support to the conservation of elephants given the present poaching crisis affecting the species continentally. A National Elephant Management Committee and four Regional Elephant Management Committees (Zambezi Valley, Sebungwe, Northwest Matabeleland and South East Lowveld) will be established. The National Elephant Management Committee will meet at least once annually to review progress in implementing the Action Plan. The National Committee will document that progress in implementing and any suggested revisions to the Action Plan, and make their report available to the Director General of ZPWMA. The four Regional Elephant Management Committees will meet at least twice in a year to review the implementation of each regional plan. The Committees will strengthen links with various bodies at national and regional levels including within the TFCA framework. ZPWMA will convene and chair the regional Committee meetings. The draft Terms of Reference for the Elephant Management Committees are provided in Annex 9.5. Monitoring implementation of this Action Plan will be done using the Key Performance Indicators contained in Section 4. Monitoring the implementation will be done and reported on by the Elephant Manager on a monthly and annual basis. A major evaluation of progress will be done every five years. Monitoring and evaluation will be done at each area level in a given elephant region, at the regional level and at the national level. This Action Plan recognizes the existence of the African Elephant Action Plan and initiatives that are currently taking place at a continental level, including by the African Union. These include the development of the Common Strategy on Combating Illegal Exploitation and Illegal Trade in Wild Fauna and Flora in Africa. At the SADC level initiatives involve developing a Plan of Action and implementing the SADC Protocol on Wildlife Conservation and Law Enforcement. This Action Plan will be reviewed periodically in the light of developments that are taking place in the SADC Region, Africa and beyond. The devolution of management oversight to regional levels, with more detailed action plans within the national plan, provides the basis for effective adaptive management at regional and local levels. As set forth in the framework below (Sections 3 and 4), four regional plans have been drafted to address the unique challenges of each region, and will implement the broader goals of this national Action Plan at a more specific level. 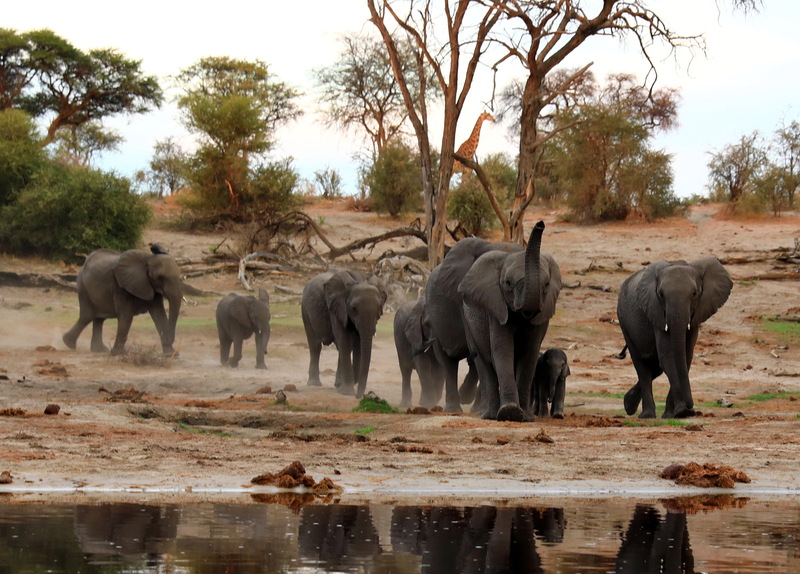 In addition, Park-level plans for specific protected areas (including Hwange National Park, Mana Pools National Park, and Gonarezhou National Park) contribute to this Action Plan and govern the management of elephant within those protected areas. The African Elephant Action Plan (AEAP) was finalized and approved as a consensus document by all 37 African elephant range states in the margins of the 15th meeting of the Conference of the Parties to CITES (Doha, Qatar 13-25 March 2010). The AEAP contains eight prioritised objectives identified as the most important measures required to protect African elephants across their range. The objectives of the AEAP were considered and included in drafting this action plan. ZPWMA has been careful to address its international obligations in this Action Plan§. Poaching and the illegal wildlife trade are serious concerns for all range states. Poaching has decimated elephant populations in central and eastern Africa, and in Mozambique. Although the 1997 Policy and Plan for Elephant Management in Zimbabwe did not need to prioritise law enforcement, protecting elephant for the future has become a primary objective of this Action Plan, and will be a primary focus of resource utilisation by ZPWMA. As Zimbabwe’s human population grows, elephant are being restricted to smaller areas and as their populations expand they increasingly move out of their designated habitat, and raid crops and sometimes threaten human lives. As a result in many rural areas where elephants exist in Zimbabwe, human-elephant conflicts are increasing, creating substantial negative attitudes to the conservation efforts of elephants. These are often among the poorest rural farmers, which makes the issue complex in social and economic terms. 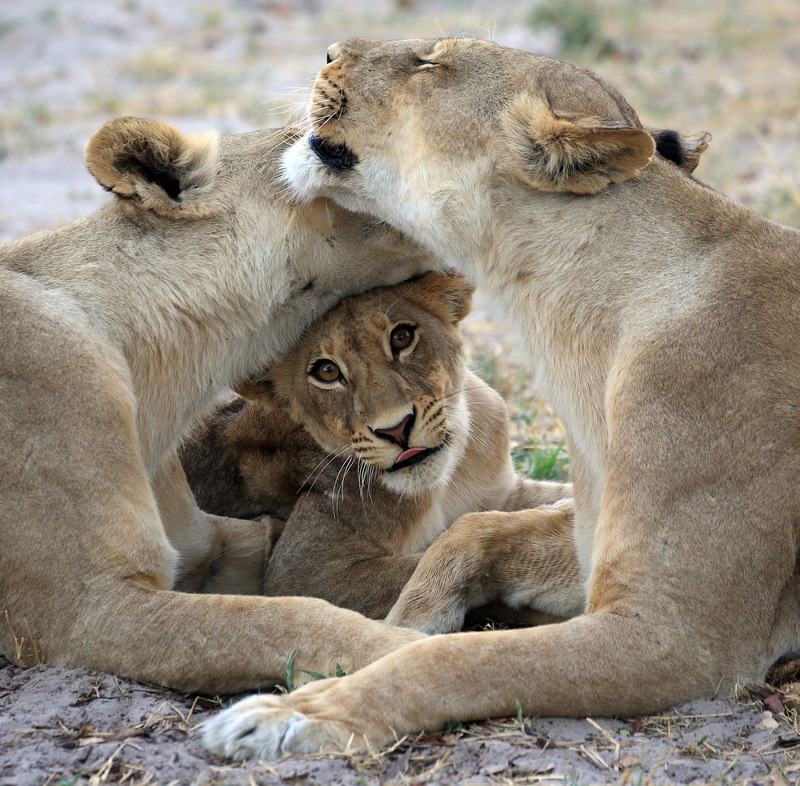 Unresolved conflicts stimulate poaching or retaliation. Poachers or retaliators can be seen as “local heroes” because they provide meat to the communities and resolve the conflict. A major challenge for elephant management is keeping human-elephant conflicts to a minimum. Developing a Social, Economic, and Cultural Framework has been identified as a Key Component of this Action Plan in an effort to address and reduce human-elephant conflicts. Some methods of reducing human-elephant conflict focus on curing the effects, not the cause. Such methods include chilli sprays, fences, and evening patrols to scare off marauding elephants. However, these are not necessarily longterm solutions. Long-term solutions require growing the tolerance of local communities for elephant by ensuring the communities benefit from having elephant on their lands. Tolerance is likely to increase if communities realise and appreciate economic returns earned from the sustainable use of elephant. Economic returns may be generated by consumptive and non-consumptive tourism. The devolution of decision-making on aspects of problem animal control to communities may result in better outcomes for the management of the costs and benefits of this activity. Problem animal control includes disturbing, removing, translocating, or ultimately killing those elephant that persist in damaging crops or threatening human life. Clearly, no one management option will successfully deal with all problem elephants and conflict situations. As part of this Action Plan, ZPWMA will undertake additional research on problem animal control and minimizing conflict, and will develop new solutions and a more comprehensive response to these issues. The Long-term Vision has retained the essential components of the 1997 plan and remains applicable to the period of this plan. The five Key Components are the primary themes or headings of the strategy under which the framework is organised. The ten policy and management objectives included in the 1997 plan fall within these headings. The Strategic Objectives reflect briefly but more explicitly the policy intention for the respective components. The Outputs are statements that reflect the expected results that will be realised during the time frame of the Action Plan. Outputs are therefore expressed in the past tense. Key Activities represent the necessary and sufficient actions that need to be completed to achieve the Outputs. They are the actions on which the major emphasis should be placed. National level Activities can be cast as Outputs at the regional level, with more detailed time specific activities, KPIs and budgets at that level. The KPIs provide a basis on which to measure and monitor the success or otherwise of the Strategic Objectives, Outputs and Activities. It is clearly necessary for the verification and monitoring of KPIs that the manner in which they can be tracked and verified need to be clearly established. Equally important is the need for monitoring protocols to be standardised across local and regional levels so that national and regional level KPIs and statistics can be compiled. This will then allow valid comparisons of performance across regions and local areas to be made. ZPWMA, the Elephant Manager and the Elephant Management Committees will interact and collaborate with a wide range of agencies and stakeholders in the implementation of this Action Plan. Regional Action Plans for each of the four regional elephant populations in the country. Activities listed at the national level will, for the most part, form Outputs at the regional level. These Outputs have generated more detailed regional and local specific activities and actions with specific KPIs and means of verification. The four regional Elephant Action Plans that have been developed as part of the National Action Plan are included in Annexes 9.1 to 9.4. Record of joint cross border law enforcement activities Records of participation in workshops, TWENS, etc. An example of a National level Activity being used as an Output at the regional level is provided on below. The example is drawn from the Action plan for the Sebungwe region. It can be seen that what was an Activity (#2 in the table above) at the national strategic level can be defined more specifically to suit the local situation and in much greater detail at this level than is appropriate in the national Action Plan.